Hofstra Pride Guides: Open House November 16th! 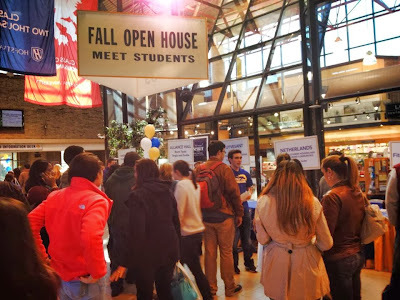 Once again, prospective students and their families had a great day at our Fall Open House! 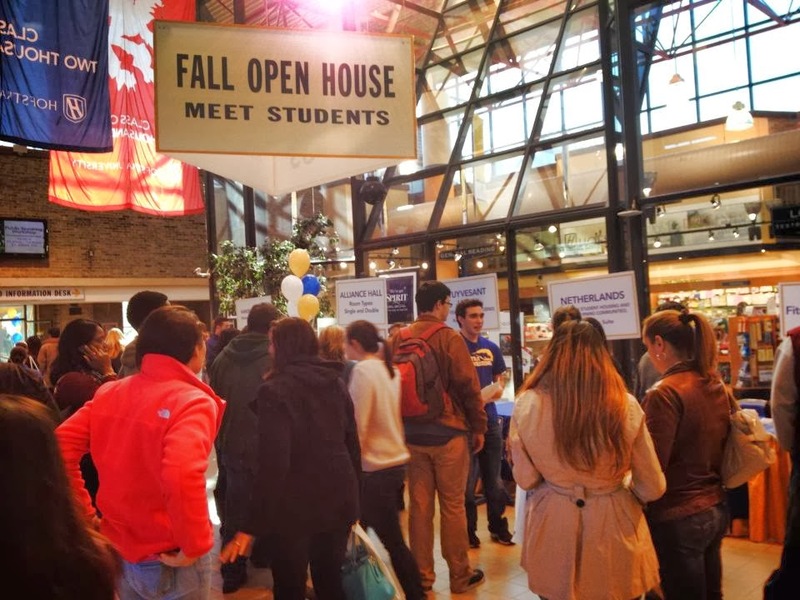 Everyone really got to know the Hofstra community and learned about all the opportunities that are available to Hofstra students! When you walk into Student Center to check in, families were welcomed by the Hofstra Pep Band, Hofstra Pride Guides, current students, and of course our mascots Kate and Willy who were taking pictures with everyone! The first event of the day for these prospective students was a speech by President Rabinowitz, who never fails to inform everyone that Hofstra's swag is second to none! Right after the students and their families were welcomed by our President, everyone then had a chance to attend an information meeting with their intended major or department! Anything from Dance to Criminology sessions were offered, and Hofstra truly met the needs of it's visitors! 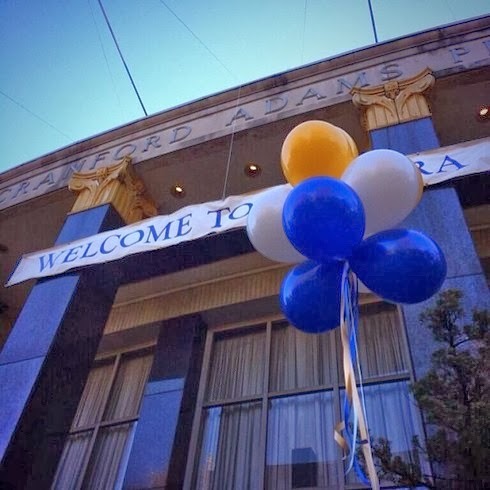 After the information sessions, families could either take a campus tour, eat all the awesome food that was being offered in the Student Center, and or attend the Student Services Fair! This fair provides booths for all different aspects of Hofstra like Admissions, student run clubs, dining services, study abroad, and many more! Along with all these booths was performances by the Cheer and Dance teams, Melody Hall, our acapella groups, etc! This day was awesome for everyone, or so we have been told by people who attended! Whether this was due to the tours, free food, all the information about Hofstra or just Hofstra itself, we're so glad everyone came! 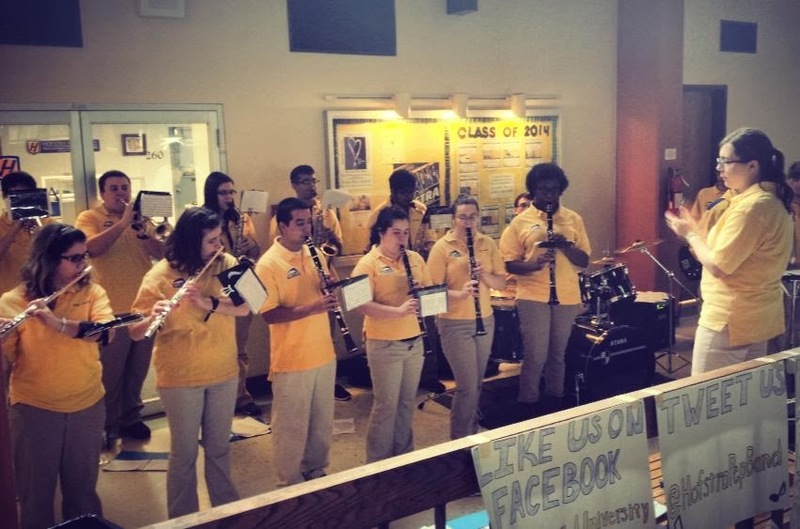 Here are a couple of pictures from the Open House!